Oleg Frish, who is revered for his affable and quirky personality will be kicking off his 25th Anniversary as a singer and TV talk show host in America at the Metropolitan Room. Oleg is a connoisseur of the Great American Songbook, swing, and jazz music and along with his world class quartet and some surprise guest artists he delivers an inspired show in many languages. He brings to life several fun and classic love songs that were featured on his recent dream come true album, "Duets With My American Idols" (Connie Francis, Ben E.King, Bobby Rydell, Melissa Manchester, Tony Orlando, Chris Montez, Lainie Kazan, B.J.Thomas, Gary U.S.Bonds, Peggy March and Lou Christie). 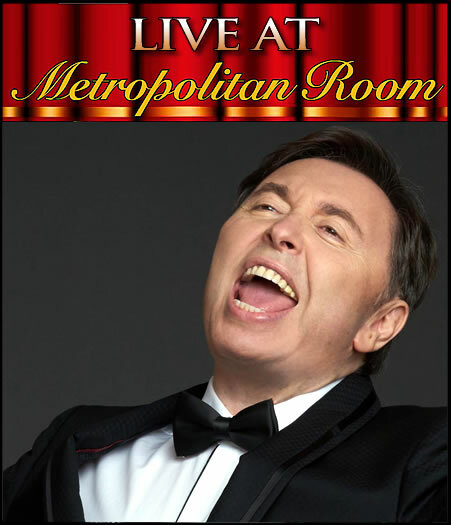 Oleg returns to the Metropolitan Room after a banner year in 2016 which featured performances at the first International Cabaret Festival, (held at The Metropolitan Room) Trumpets Jazz Club, Feinstein's 54Below, the famed Iridium Jazz Club, debut concert performances in Australia and culminated with the engagement at the legendary Koslov Jazz Club in Moscow (his second of the year).